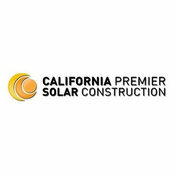 California Premier Solar Construction is dedicated to providing high-quality solar installations using the best SunPower® technology. When you are thinking about making the switch to clean, reliable, renewable energy, trust the San Diego solar experts. With over a decade of professional experience in both the solar and roofing industries, they make sure you have a truly turn-key solution. You can rely on California Premier Solar Construction to handle your new energy system from initial proposal and design to filling out all paperwork for rebates and tax incentives and finally flipping the switch on your monthly energy savings. Contact the professionals today for your free in-home consultation!